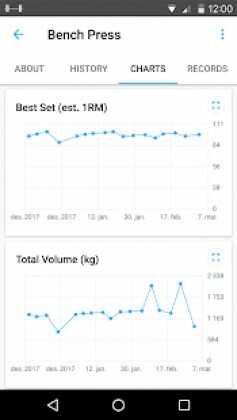 Strong: Exercise Gym Log, 5×5 is a Health & Fitness android app made by Strong Fitness that you can install on your android devices an enjoy ! Strong is a workout and exercise tracker for Starting Strength, Stronglifts, 5X5, 531 and is adaptable to any other workout routine of your choosing! Our exercise library has everything from squats, deadlifts, benchpress to kettle bells, cardio and your favourite ab workouts. You can also create your own exercises, from barbell, dumbell, olympic and cardio to assisted bodyweight for an all in one fitness tracking and log experience. Whether you’re a beginner, experienced powerlifter or regular gym goer, Strong provides everything you need to record and track your workouts and exercises as effortlessly and as quickly as possible. Unlike other workout tracking and exercise log apps, Strong doesn’t bog you down with pictures and videos you don’t need, and provide unnecessary functions you’d never use.  Be More Efficient – With our intuitive interface you’ll spend less time on your phone and more time lifting. Features like the Timer lets you know when to start your next set. 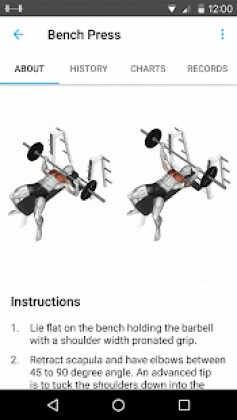 The Plate Calculator helps you out when the weights get high, and the Warm-up Calculator generates warm-up sets for you in just a few taps. Strong also tells you your previous lifts and gives you guidance on what to lift based on your last trip to the gym.  See Progress and Stay Motivated – Strong stores all your personal records and previous workouts for easy access to see progression as you get closer to your fitness and health goals.  Security and Convenience – All your workout data is backed up in the cloud. When you switch devices you don’t have to worry about re-entering your lifts into the app – ever.  Over 200 Exercises – Our library of exercises and movements includes everything you can think of. No piece of equipment is left from the list! 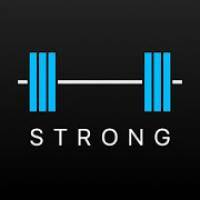 Strong is the simplest and most intuitive gym log on the app store. Download it to achieve your fitness goals and build a path to a healthier life. Fixes a crash for older devices when starting a workout.